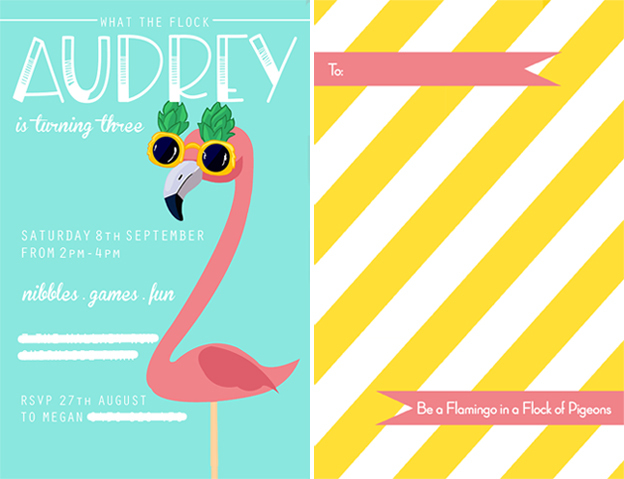 What The Flock - Audrey's Three! This week Audrey celebrated her 3rd birthday and it's been a full week of festivities. It was a really fun one this year. 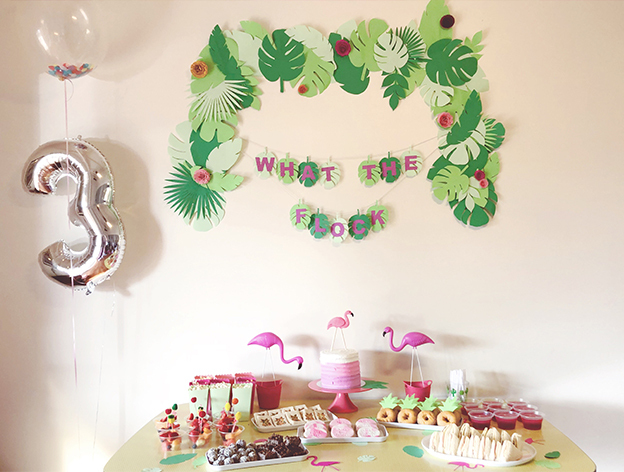 I've been looking forward to the year that Audrey picks the theme for her party and she didn't disappoint when she picked a FLAMINGO PARTY! I got her to decide about 3 months ago so I could get started on planning and prepping everything. Which has meant that for the last 3 months she's told us that 'tomorrow is her birthday' and we've had to explain that she was wrong. 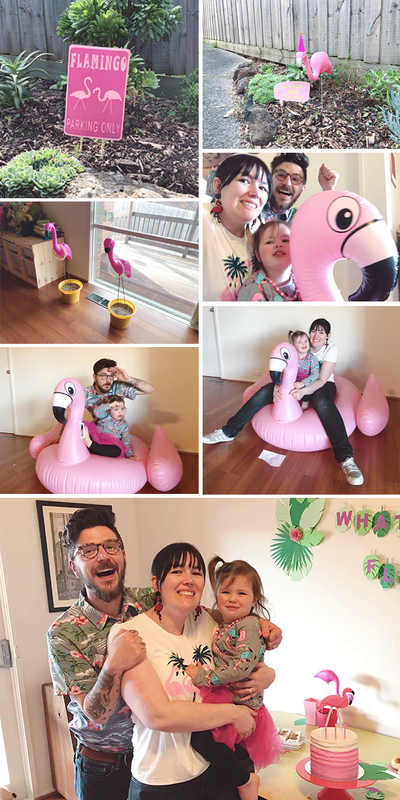 It's been a full on year with the shop and i've been single parenting it a lot because of BJ's hours and i've been feeling really guilty about Aude having to spend a lot of time at home while i'm working my two jobs so I wanted to throw her a really fun party. I needed as much time as possible to make this party happen. Audrey made a list of who she wanted to invite and I did the rest. 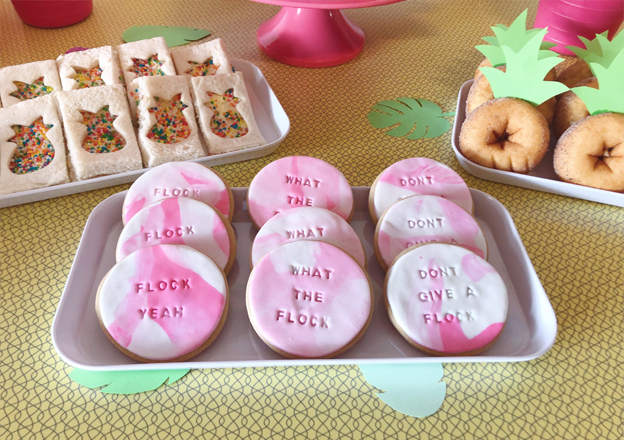 I designed the invitations, made the decorations, the snacks and the cake of course. I design all of our invitations and I had a lot of fun with this one. Really happy with how it turned out. Once the invitation was out of the way I planned out all the other decorations and started bringing them to life. The thing I actually slacked on this year was the cake. I usually have a very detailed plan of what i'm going to make with drawings and even test cakes but this year I just had a vague idea of what I wanted to do. 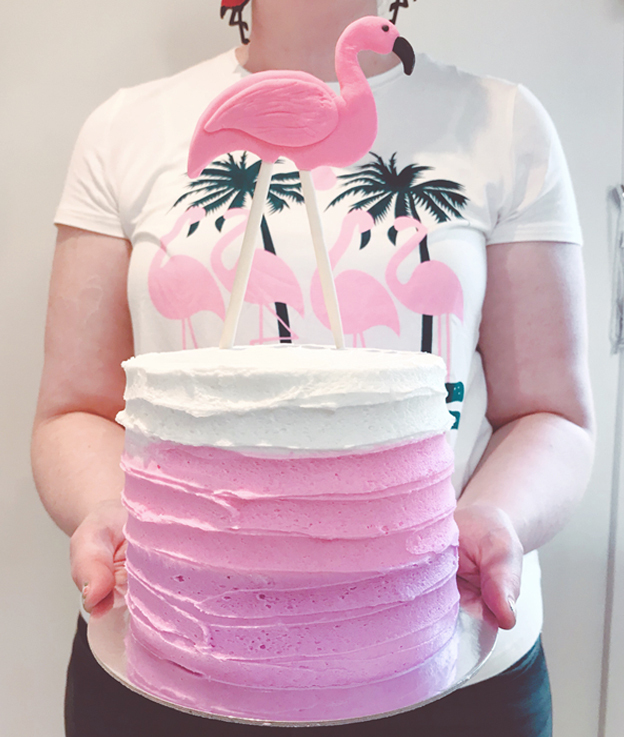 I whipped together the topper the week before her party and the rest of the cake I threw together the day before. I also managed to find a few minutes to chuck together some cute cookies. I was really proud of the paper garland I made for the wall. I honestly wasn't sure how it was going to turn out but I spent ages with my silhouette curio cutting out all the leaves and flowers and am really happy with the final result. It's been hanging up for 2 weeks now because I didn't want to have to do EVERYTHING on the day of the party. And it may be up for another 3 hahaha. On top of the decorations we had a couple of games. Flamingo ring toss and Pass the parcel. Wasn't sure how Pass the parcel was going to go with a bunch of 3 year olds but it was a total success. And lastly, I couldn't resist in getting a giant inflatable flamingo for the kids to go nuts on. Surprisingly, it didn't pop and it was a huge hit.